Hi everyone...I've got the April 1-2-3 sketch, layout and video for you today! This month I'm working with the new Storytime Collection by Creative Memories which is prefect for baby boys AND girls, and will work to document their toddler years and childhood memories, too! 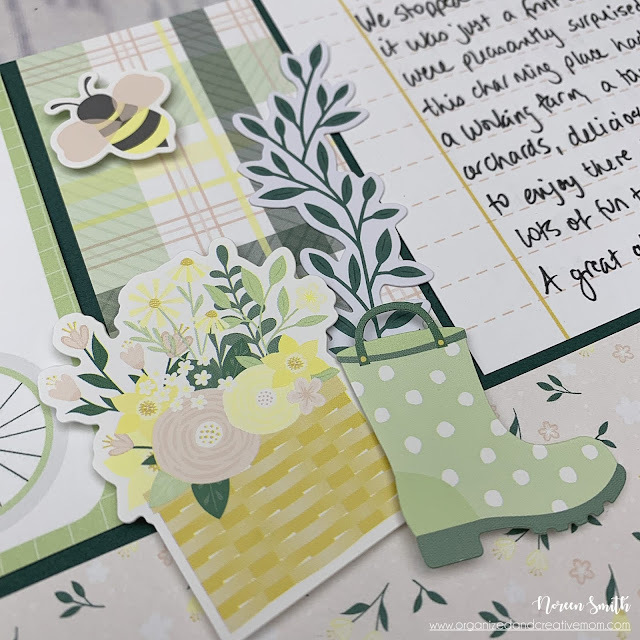 In my 1-2-3 layout this month I featured the versatile Blush Lattice/Green Dots paper from the Paper Pack, and used some Stickers and Embellishments. The collection also has two wonderful Album Covers and Gift Sets that would make the perfect gift for any new mama, too! 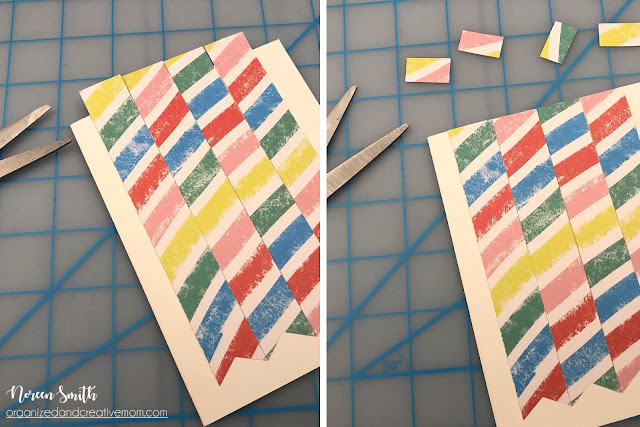 I hope you try this month's layout...you can download the FREE printable handout with the sketch, cutting guide and instructions here! Make sure to subscribe to the blog so you don't miss the next 1-2-3 Sketch and Layout next month. 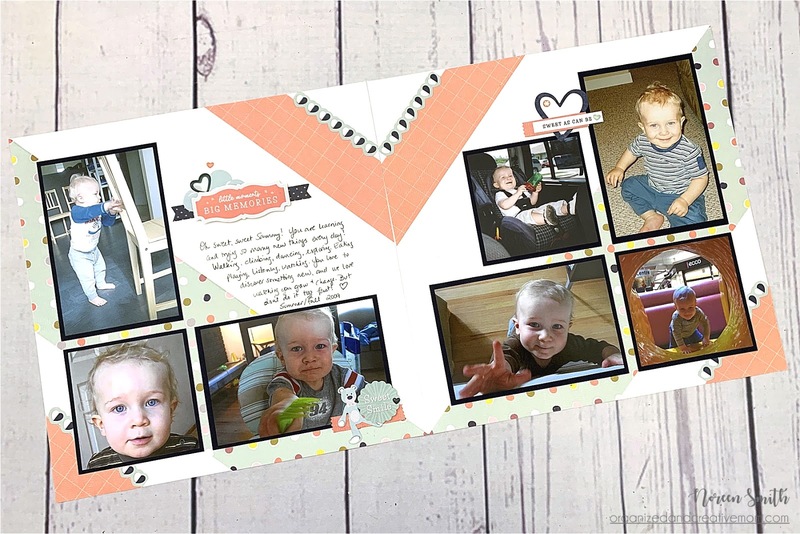 If you are looking for some MORE 1-2-3 inspiration, check out my E-book and lots of other printable Layout Guides in the OCM Shop,. It's also not too late to join me and over 250 other scrappers for the Scrap-Your-Stash 2019 online course where you'll receive new EXCLUSIVE sketches every month! You can find all the info and register here. I hope you join us! Hi everyone...today I'm posting the March 1-2-3 sketch, layout and video! 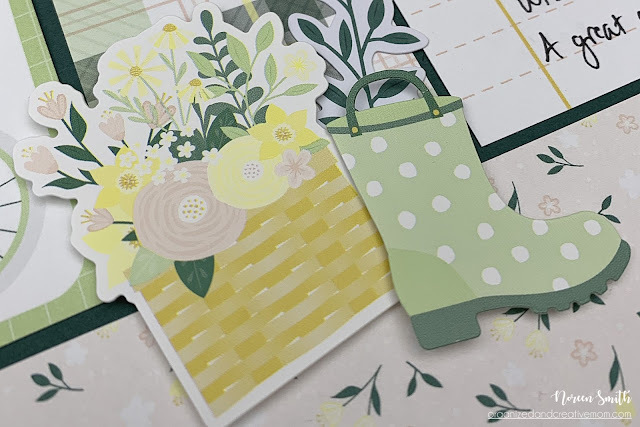 This month I'm working with the Simply Sunshine Collection by Creative Memories - a bright and fresh collection featuring lots of Springtime colors, patterns and imagery! 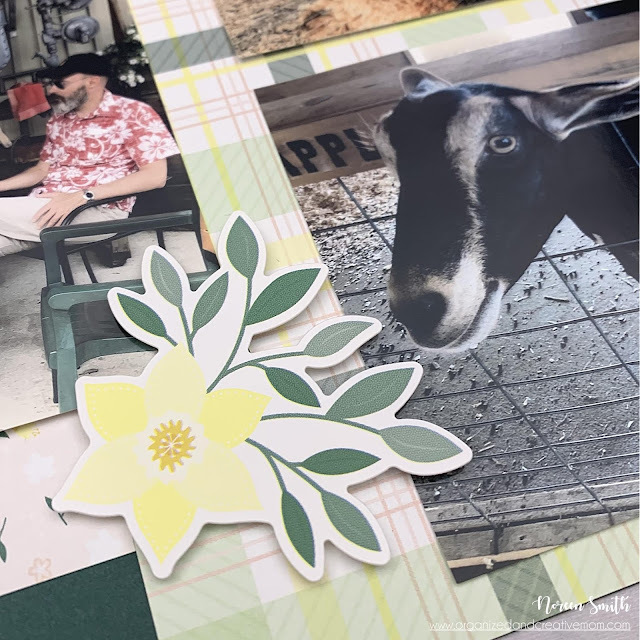 I'm using a double sided plaid and floral paper from the Paper Pack, along with some Stickers, Variety Mat Cards and Embellishments, and you'll also find a coordinating Album Cover and Fast2Fab refill pages to round out the collection. It will work beautifully for all your outdoor, Easter and spring themed pages! 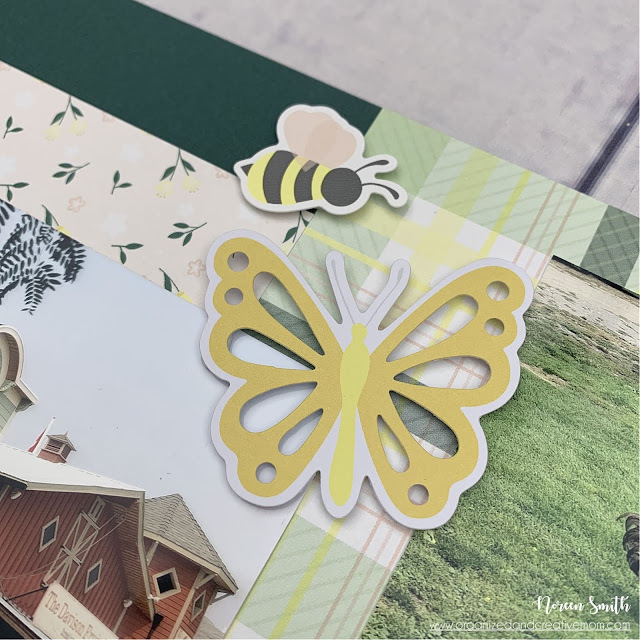 Sit back and watch how quickly the layout comes together, and then head over to the OCM shop to download the FREE printable handout with the sketch, cutting guide and instructions. 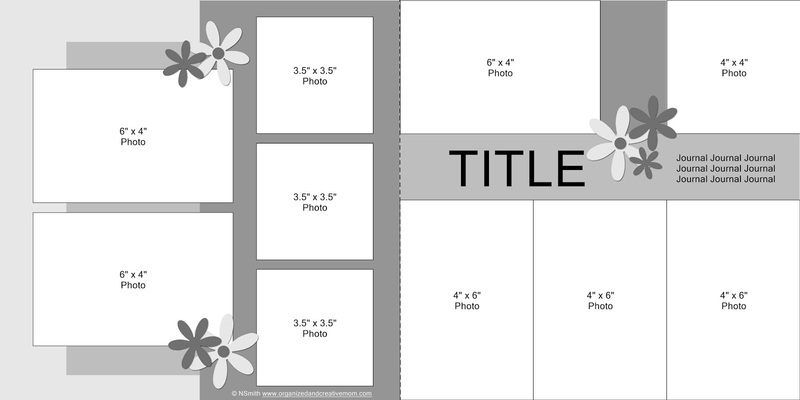 I hope you try this 1-2-3 layout...remember it can be used with ANY papers and embellishments! Don't forget to download your free printable handout with the sketch, cutting guide and instructions here! Make sure to subscribe to the blog so you don't miss the next 1-2-3 Sketch and Layout in April. If you are looking for MORE 1-2-3 inspiration in the meantime, check out my E-book and lots of other printable Layout Guides in the OCM Shop,. 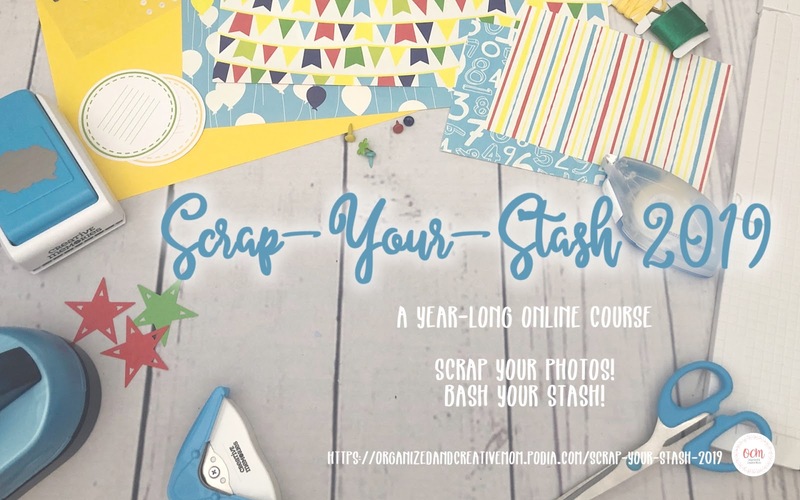 It's also not too late to join me and over 200 other scrappers for the Scrap-Your-Stash 2019 online course where you'll receive new EXCLUSIVE sketches every month! You can find all the info and register here. I hope you join us! 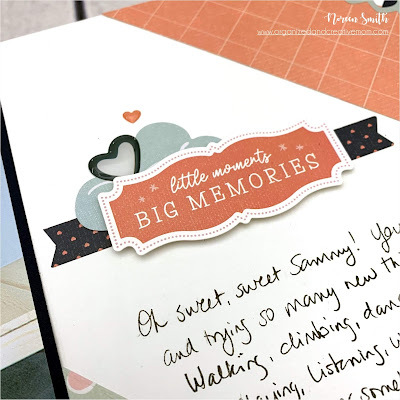 Hi friends...it's Blog Hop Day! My scrappy friends over at Creative Life Scrapbooking and I are excited to host our Winter Blog Hop! You've probably arrived at this stop on the hop after visiting Lisa's blog, and at the end of my post I'll send you along to Karyn's blog. If you've somehow stumbled into the middle of the hop, don't worry, I'll give you ALL the links at the end of this post! Sometimes for our CLS Blog Hops we choose a specific theme or product collection to work with, but this time it's a free-for-all! Yes...all of us are simply using our favorite products to create projects to inspire you! 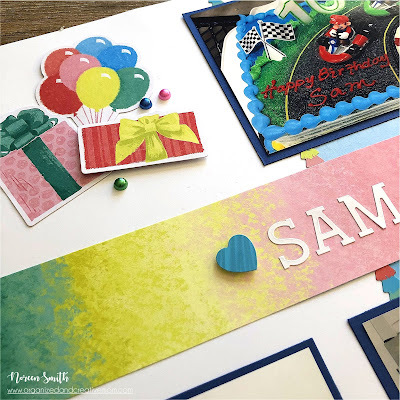 I was excited to have a chance to play with the Limited Edition Happy BirthYAY Collection to create a layout and a card to share with you. This is such a fun and bright collection and was perfect to document some pics of my son Sam's 10th birthday! 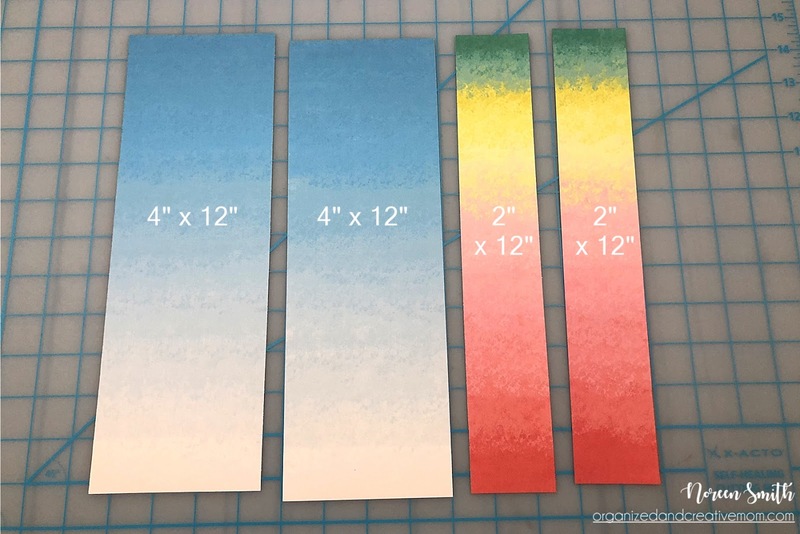 While I didn't set out to create a 1-2-3 layout, I guess I'm just wired to think that way...I started by cutting the Blue/Multi Ombre Paper into some strips - two 4" x 12" and two 2" x 12", and turned the 2"strips over to reveal the Multi Ombre side. I laid the Blue Ombre strips vertically on both sides of my layout about 1.5" in from the middle, and added two of the Happy BirthYAY Border Stickers along the outside edge of each paper strip. I placed the Multi Ombre strips horizontally right across the middle of both sides of the layout. 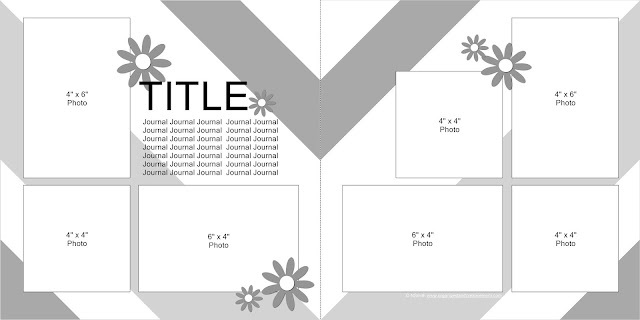 My title and journaling went right onto the Multi- Ombre Strips: I used some White Serif ABC/123 Stickers along with the Happy BirthYAY Stickers for the title, and a scrap of White Cardstock trimmed to 1.75" x 6" for the journal box. I cut Royal Blue Cardstock into 4" x 6" photo mats and adhered my photos on top. 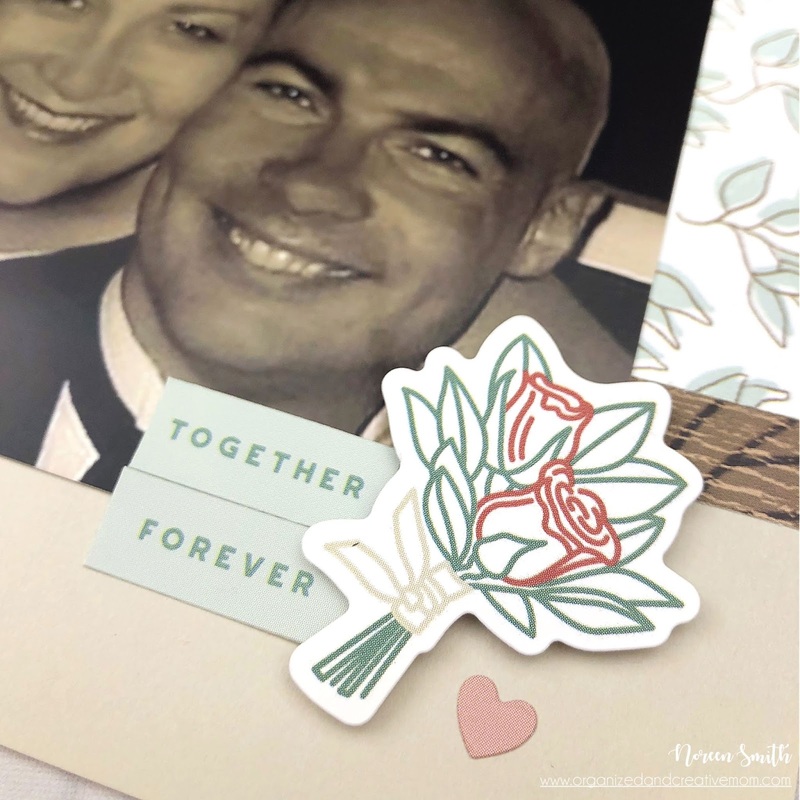 I love using 4" x 4" photos since I can trim down a vertical OR horizontal photo to fit! 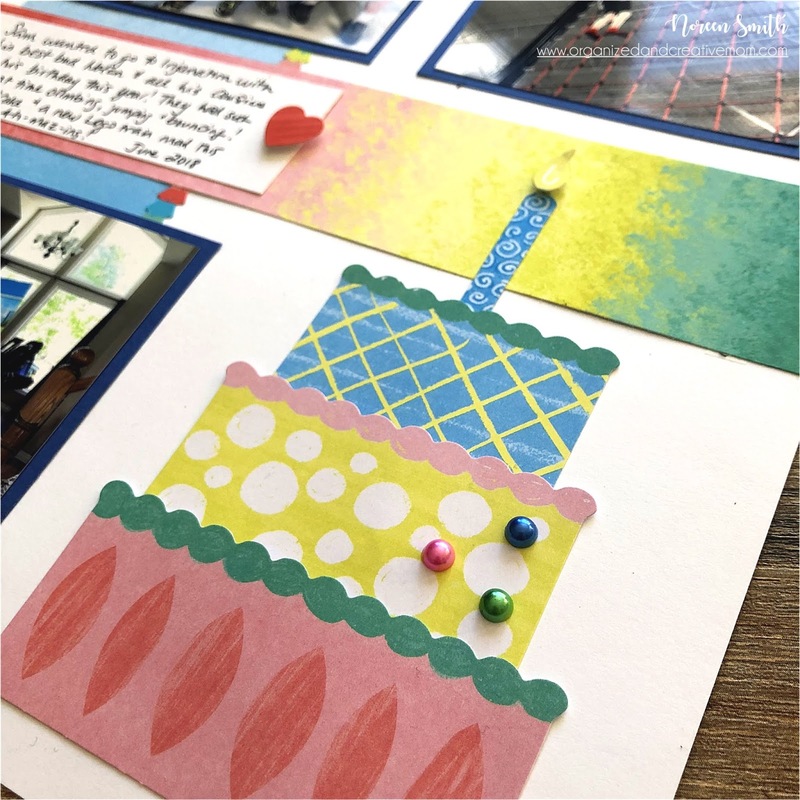 That left two large areas for embellishment clusters which I filled with the bright, oversize die-cuts in the Happy BirthYAY embellishment pack. I love the way this easy and festive layout turned out! 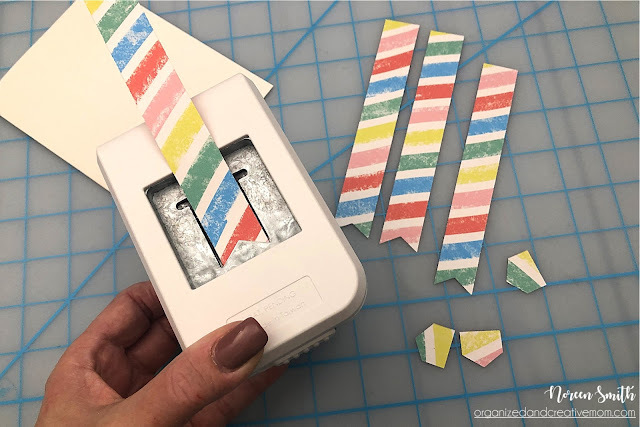 I cut four .75" x 6" strips from the Rainbow paper in the Happy BirthYAY Paper Pack, and then snipped the ends into banner shapes with the Banner Flag Punch using the easy trick I recently demonstrated in this video on my YouTube Channel. I adhered the strips to the card base, butting them up against each other, then trimmed off the ends that overlapped the edge of the card with my All-Purpose Scissors. I cut a 3.75" square from the same paper, but turned it over to the pink side with the white icon drawings, and adhered it on top of the strips. Then I added the champagne bottle and flute die-cuts, a "Cheers to You!" sticker and a few gems! I love that this card is a little more "grown-up", but is still bright and fun! It will be perfect for my gal-pal's upcoming birthday! I hope you can see how fun the Happy BirthYAY collection is and that it can be used for boy or girl, kid or grown-up projects! 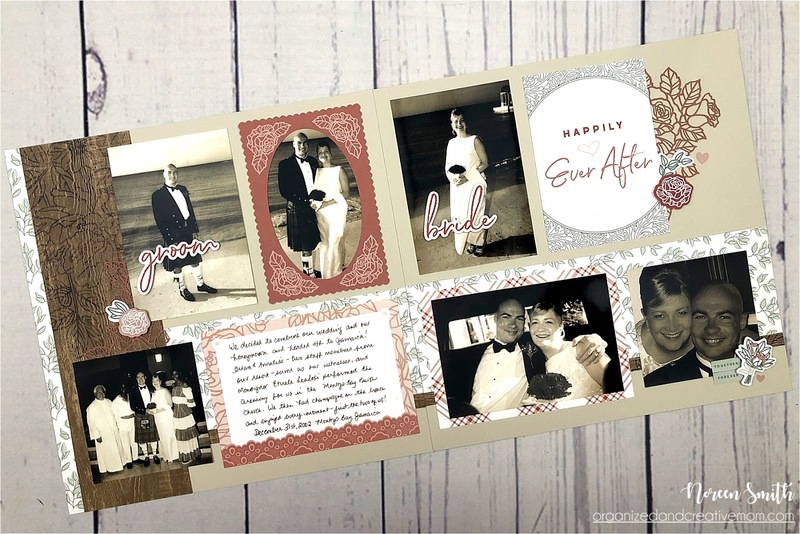 Now you'll want to head on over to Karyn's blog for more scrappy goodness! 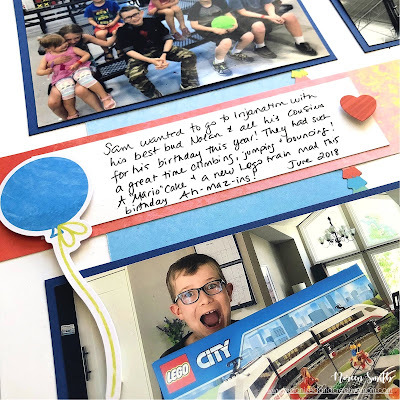 And if you haven't already, make sure you hop to ALL the stops below to check out all the other projects my friends from Creative Life Scrapbooking have created to share with you! 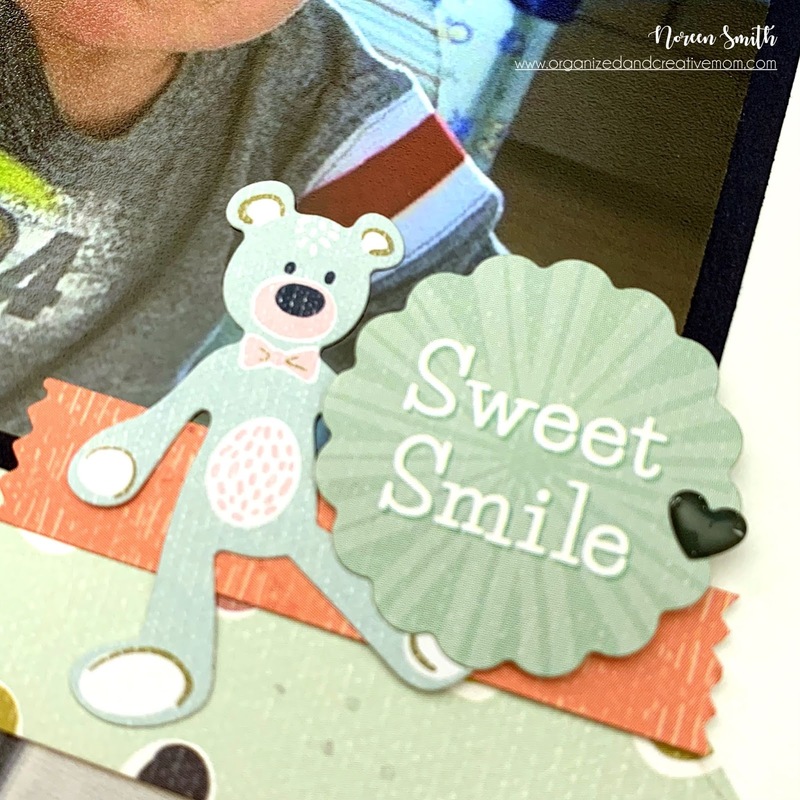 Stop #2 - Noreen Smith's Blog - you are here! 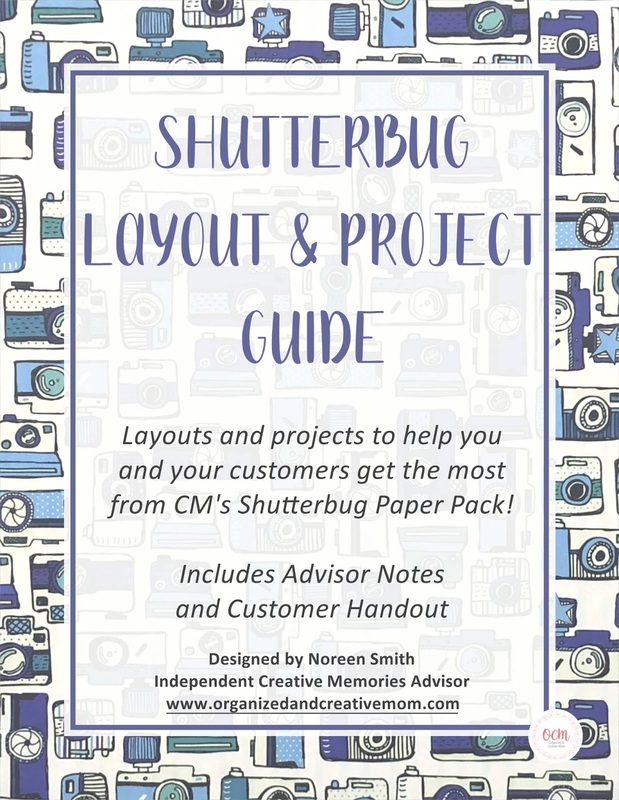 I'm happy to announce that the new Shutter Bug Layout & Project Guide is now available in the Organized and Creative Mom Shop! 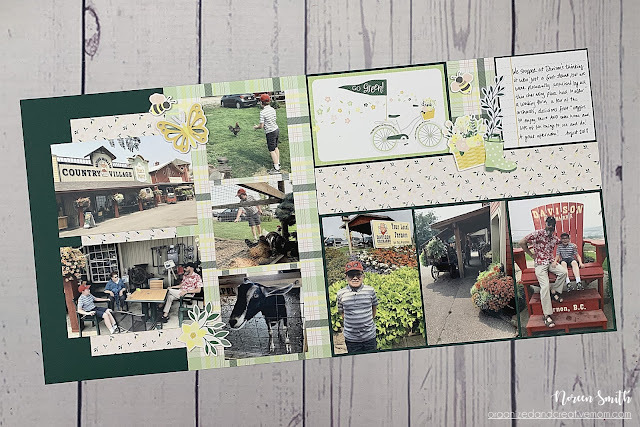 This 24 page Guide features instructions and full-color photos to create layouts and projects using the Shutter Bug Paper Pack by Creative Memories! FAQ:How much is the Guide?Only $10.00...the same as all my other layout guides using specific products! I'm not a CM Advisor* and I don't have the Shutter Bug Paper Pack...will I still be able use this guide?YES! If you like to use sketches or sample layouts as your starting point, you'll enjoy this Guide! Besides ideas for four layouts you'll extra tips and suggestions that you can use over and over again! *And hey...why aren't you a CM Advisor? Did you know that the Advisors on my team receive all my Guides and Handouts to use with their own customers? If you'd like to be a Creative Memories Advisor on my team I invite you to check out all the details here and then contact me! 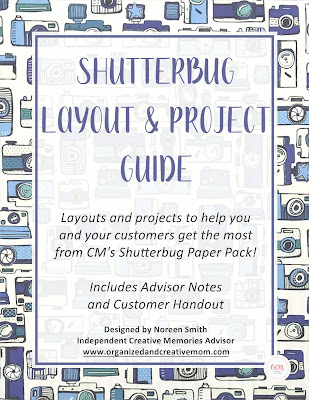 You'll also want to note that this Guide AND the Shutter Bug Paper Pack will be the Quarter 1 Customer Appreciation Gift for all customers who have made a $50.00 purchase of Creative Memories products from me or through my Creative Memories Website between January 1 2019 and March 31 2019. Instructions will be sent after purchases, near the end of the Quarter! I hope you enjoy making the layouts and cards in the guide as much as I did! Hello friends! I've got the February 1-2-3 sketch and layout for you today! 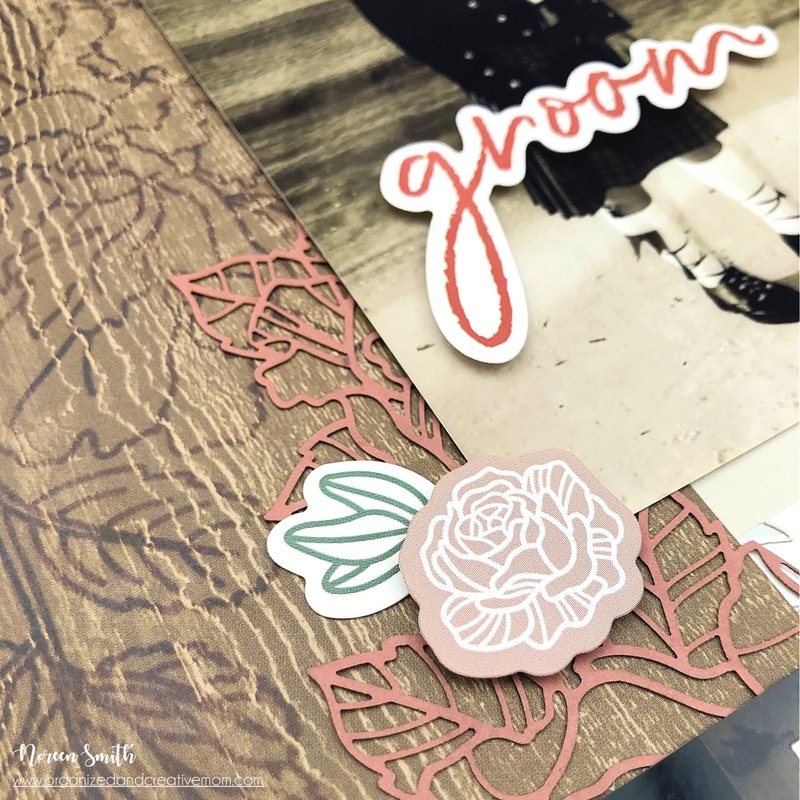 This month I'm working with the Ever After Collection by Creative Memories - a gorgeous wedding themed collection with muted sage, rose and blush colors matched back to more rustic woodgrain patterns. 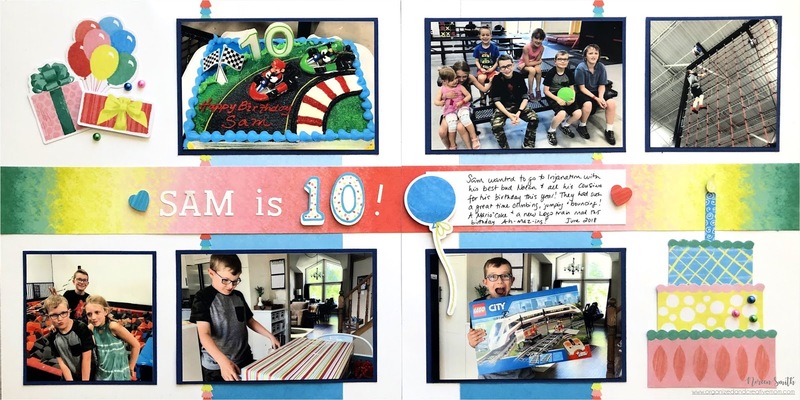 It features the Paper Pack, Stickers, shaped Variety Mat Cards and intricate Laser Die-cut Frames and Embellishments. There is also a coordinating Album Cover, Fast2Fab refill pages and a Gift box Set that would make the perfect Wedding Gift! The collection will also be very pretty for springtime, feminine and Mother's Day layouts. As always, you can download a free handout that features the sketch, cutting guide and instructions in the OCM shop, but put your feet up for eleven or so minutes and enjoy the video first! After cutting and arranging the strips on my layout base, I added a frame over the focal photo and used several Variety Mat Cards for my title, journaling and matting. 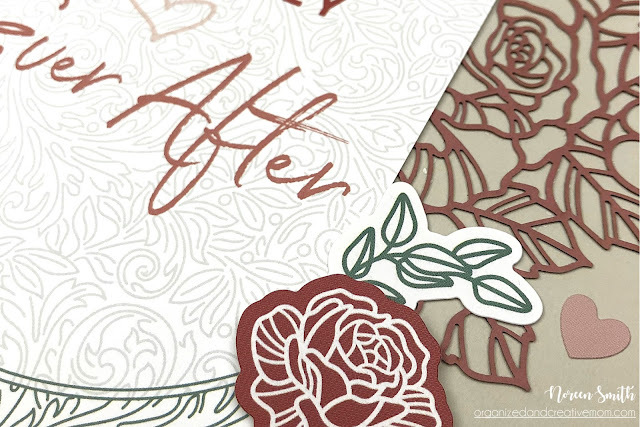 I added three embellishment clusters with the rose laser die-cuts and stickers- and journaled with my Brown Dual-Tip Pen. 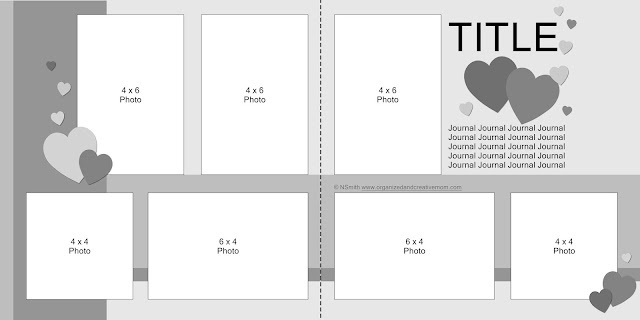 I hope you give this 1-2-3 sketch and layouts a try...remember it can be used with ANY papers and embellishments! 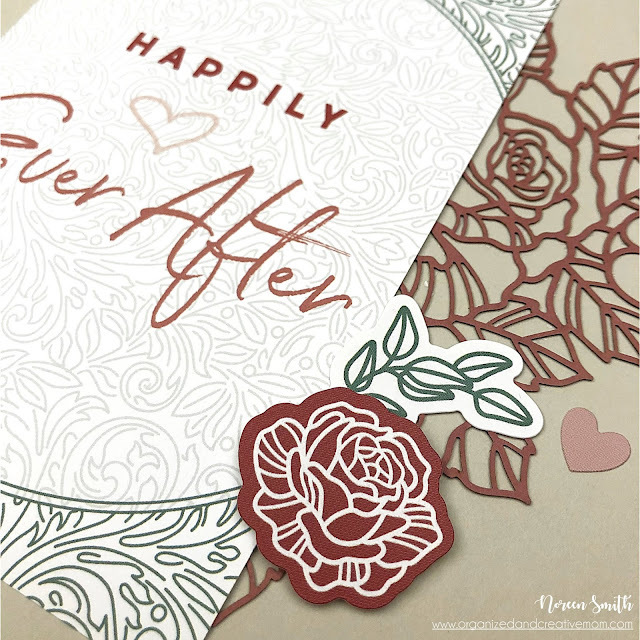 Don't forget to download your free printable handout with the sketch, cutting guide and instructions here! 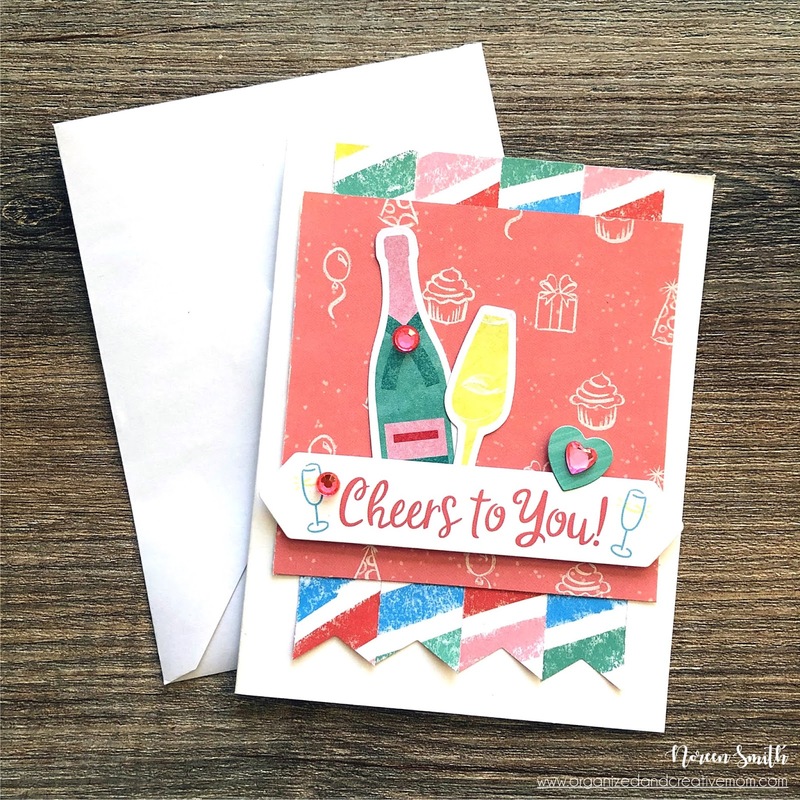 Join me in March for the next 1-2-3 Sketch and Layout, but if you're looking for MORE 1-2-3 inspiration, check out the E-book and the other printable Layout Guides in the OCM Shop, and it's not too late to join us for the Scrap-Your-Stash 2019 online course! There are new EXCLUSIVE sketches every month! You can find all the info and register here. I hope you join us!